the branch of biology dealing with the endocrine glands and their secretions, especially in relation to their processes or functions. Endocrinology is the study of hormones in the body. The endocrine system is made up of a network of glands which secrete hormones to regulate many bodily functions, including growth and metabolism. 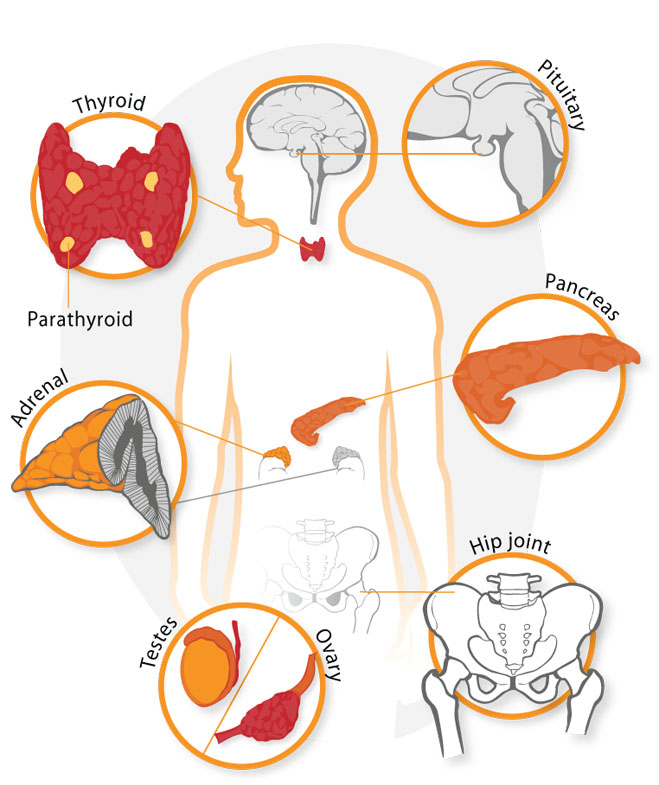 Endocrine diseases are common and usually occur when glands produce an incorrect amount of hormones (i.e. too much or too little). The endocrine system is a network of glands that secrete chemicals called hormones to help your body function properly. Hormones are chemical signals which are secreted into the bloodstream that coordinate a range of bodily functions. Sometimes called the "master gland," the pituitary gland secretes and stores hormones, which it uses to regulate other glands. 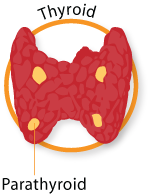 Parathyroid glands control the amount of calcium in the blood and within the bones. 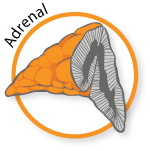 The adrenal glands are chiefly responsible for releasing hormones in response to stress and maintaining salt/water balance. The pancreas creates enzymes to aid digestion and hormones to help regulate blood sugar levels. The ovaries are a pair of glands in the female reproductive system where eggs are produced and estrogen is manufactured. The primary functions of the testes are to produce sperm and make testosterone.